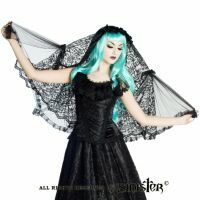 Sinister Gothic Black Multilayer Sicilian Lace & Roses Mourning Wedding Veil w Bows [H033] - $43.99 : Mystic Crypt, the most unique, hard to find items at ghoulishly great prices! Black veil made of scalloped Sicilian lace. 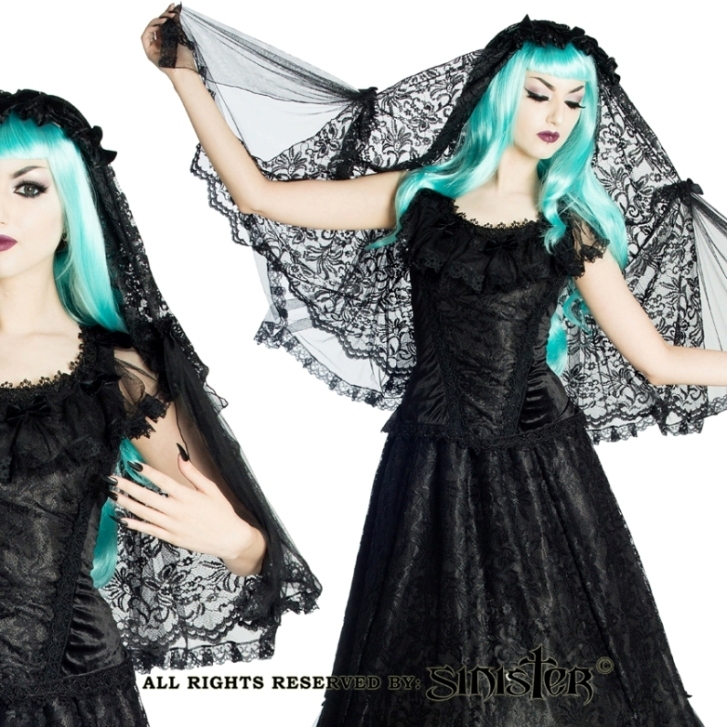 The lower part of the veil is decorated with and extra layer of black mesh which is gathered with black velvet bows and is trimmed with ruffled lace. The headpiece is decorated with a lace ruffle and five black satin roses. This mourning veil has a concealed comb. Imported from Sinister Gothic Amsterdam, Netherlands. Imported from Sinister Gothic Amsterdam, Netherlands. Find more Gothic Accessories, Gothic Purses, Gothic Wedding Veils, and More at Mystic Crypt!